Is Vitalgrana pomegranate juice 100% natural? How much pomegranate juice is recommended per day? It is recommended to take a dose equivalent to 200ml / day. If I am type I or II diabetic, can I take Vitalgrana pomegranate juice? We recommend consuming a maximum of one glass of pomegranate juice equivalent to a 200 ml bottle; It is preferable to do it accompanied by other foods, for example, in the dessert of a meal, to avoid a rapid increase in blood glucose. In case of hypoglycaemia, pomegranate juice is an option for its treatment. If you have any questions, always consult your specialist. What is the indicated dose for Vitalgrana Omega 5? We recommend taking 2 capsules a day to help maintain normal blood cholesterol levels, help fight oxidative stress and to take care of the skin. We recommend taking 1 capsule a day to take care of the skin. Is it necessary to take breaks if I take Vitalgrana Omega 5? Being a natural food supplement is not necessary to make breaks. How long should I take Vitalgrana Omega 5 to see results? As a minimum, you should take Vitalgrana Omega 5 (doses indicated according to the case), uninterruptedly, a minimum of 3 to 6 months to notice results. At what time of the day should I take Vitalgrana Omega 5? It is recommended to take it before breakfast, to improve the absorption of the product. However, if you prefer, you can take it at any time of the day. I am celiac, and I need to know if their products (juice and Vitalgrana Omega 5) contain gluten. None of these products contains gluten, so you can consume them with total confidence. Sometimes, with the passage of time, the colour of the pomegranate juice is degraded, and a quantity of sediment is deposited in the base of the bottle. Is this normal? In the case of 100% squeezed pomegranate juices, such as Vitalgrana, it is normal that the colour is lost, as there are no dyes or preservatives or any type of additive. 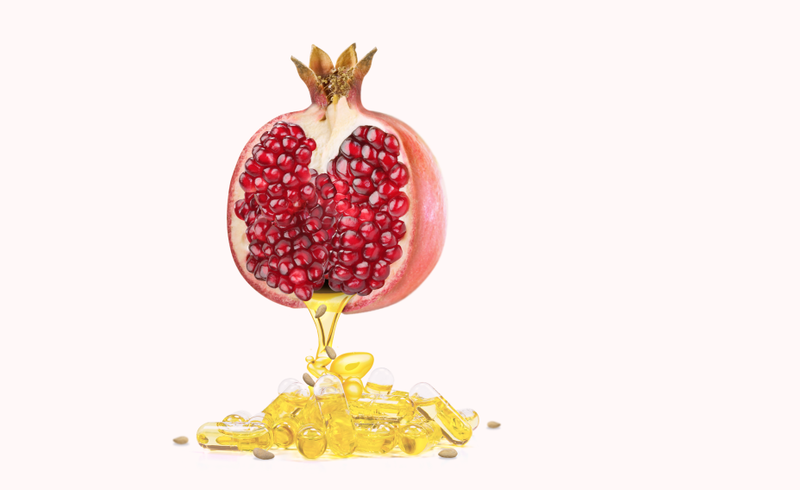 In addition, the sediment is because at Vitalgrana we squeeze all the parts of the pomegranate so that the juice contains the maximum number of nutrients of this fruit. If I play sports (go to the gym, running ...) when should I take the Vitalgrana pomegranate juice? The 100% pomegranate juice Vitalgrana can be consumed regularly as a recovery drink after exercise. The consumption of pomegranate juice regularly in the practice of aerobic exercise increases the resistance and recovery of the athlete. I am pregnant, and I am still taking Vitalgrana Omega 5. Can I continue taking it? This product has no contraindications, but in your case, you should always check with your doctor / gynaecologist to continue taking it. I take a treatment, because I suffer from an illness. Is there any contraindication with pomegranate juice and / or Vitalgrana Omega 5? These products do not present contraindications. However, despite being natural products, before you start consuming them, you should always consult your doctor. For a more efficient effect on muscle recovery. When is it convenient to drink pomegranate juice before or after exercise? To improve muscle recovery, you can take it after sports activity in each workout. 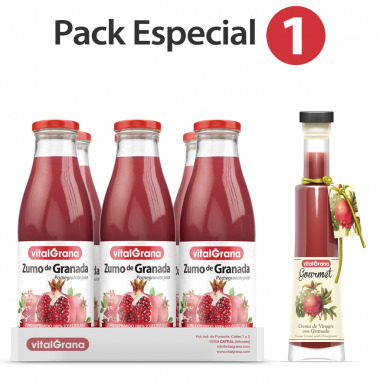 For a person with a normal level of physical activity, what is the best time to drink Vitalgrana pomegranate juice? Any time of the day is perfect. You can take the juice at breakfast or at lunch, as these are ideal times to obtain the required dose of antioxidants during the day. I suffer from hypertension and I have a treatment with a pill in the morning. Can I drink Vitalgrana pomegranate juice? There is no problem in people with pomegranate juice and hypertensive people. In fact, pomegranate juice is low in sodium. In addition, there are studies in humans, guided by prestigious universities that show a drop in blood pressure in just two weeks, in a group of people who consume pomegranate juice daily. Remember, for medical questions you should always consult a specialist.